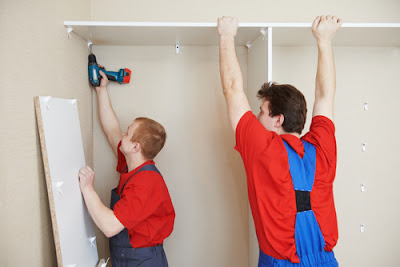 One common challenge that homeowners face in Singapore when they are installing a wardrobe is when they lack the right tools and equipment for the job. Unless you have the right tools to measure, cut and fit in every part of the wardrobe, you will not make it. Some of the most common tools needed for the job include a tape measure, a spirit level, a combination square, a pencil medium, ear muffs, a saw horse, an angle grinder, drill driver, dust masks, and a ladder. The ladder will be significant if you will need a tall wardrobe and especially if you are short. You might also need a pair of gloves for safety purposes. Before you can hit the road and start setting up your wardrobe, you will need to know the type of wardrobe that you need. 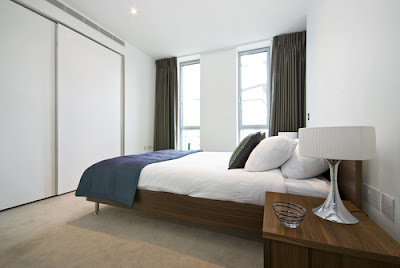 If you need a tall wardrobe, a swing-door, or a slide-door wardrobe, ensure that you have that in mind before you start. This will help you to prepare well and know how you will start. Ideally, have a plan of the wardrobe before you start working on it. If you fail to measure the wardrobe correctly, or if you do not measure it at all, you might mess things up. You must measure the wardrobe to ensure that the racks fit in perfectly and that it will fit in the section of the wall. Start by measuring the top and bottom of the door and the depth of the wall section, then transfer them to the track with a pencil. Another common mistake that many people make is to install the door before they install the track. Mostly, this happens when an amateur is handling the wardrobe. When you install the door before installing the track, you may not get the right results. Installing the track may be difficult. You are supposed to start by installing the track first, and ensure that it is in place. After that, you can then install the door when the track is perfectly installed. This will make it easier and ensure that the door swings swiftly. If you are using the swing doors for your wardrobe, you will need to find hinges that are proportional to its weight. The hinges must be strong enough to hold the door for the longest time possible, without falling out. Ensure that the hinges are tested and that you buy high-quality hinges. Going for aluminum hinges can be great since they are strong enough to carry the wardrobe door. Before you purchase the hinges, ensure that you ask the dealer about its ability to hold the size of your door. Another major problem is that a person will use the wrong screws for the built in wardrobe. When the screw is not strong enough, it cannot hold the weight of the shelves or wardrobe door. If you are placing heavy clothes on the shelves, you will need strong screws that can hold up the shelves, even with the heavy clothes. So ensure that you choose the strong screws. Ideally, go for the stainless steel screws, which can resist rust and they are also strong enough for the shelves. Other than the weak or wrong screws, some tend to drive the screw into the wood, but fail to tighten it. If this happens on the door of the wardrobe, the screw will loosen slowly whenever the door swings. The more the door swings, the more the screw loosens up. In the long run, the screws will fall off, and it will be a huge loss. When the screws fall off, the door will also fall off, and the shelves as well. This can cause injuries to the person that is near the wardrobe. So ensure that you tighten the screws on the shelves and door of the wardrobe to avoid injuries. While this might sound okay with others, it is not recommended. The tracks and shelves are removable, so is the door. When you want to have specific color around the wardrobe, you will need to ensure that you paint the tracks, and shelves before installing them. This will assure you of uniformity, and also, you will not have some sections left without paint. When you paint after you have installed the wardrobe, some parts will be painted, yet they are not supposed to be. For instance, the hinges should be left as they are when you are installing the wardrobe. So before you install your build in wardrobe, paint the shelves and door separately and let them dry. In general, failing to call a professional is the biggest mistake that people make. When you call a professional company, your wardrobe will be installed with professionalism. Also, you will not have much problem with purchasing or hiring tools and equipment. They will also have ideas of how to come up with an elegant wardrobe that matches your bedroom. There will be fewer risks of injuries, and you can be sure of having a stable wardrobe that can hold your clothes as you want.